He is the extreme job hunter. I met Dan several years back when I was at University in Leeds, as was he, and we became pretty good friends. He cracked me up straight away at a party, trying to fit fitting into a child's super man costume. He always had a great sense of humour and he is very creative and unique, so when I saw that he had labelled himself 'The Extreme Job Hunter' and has made his CV into a Top Trump card, in order to land himself a good job, I couldn't help but smile. Check out his crazy stunts in order to get himself a job HERE. 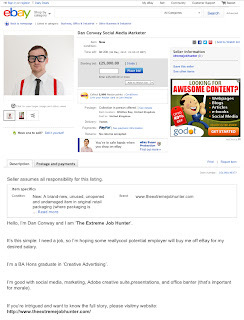 Lets face it, if I was an employer, these unique and fun ways of applying for a job would really impress me - it would certainly help to make him stand out from the rest of the usual black and white CVs. 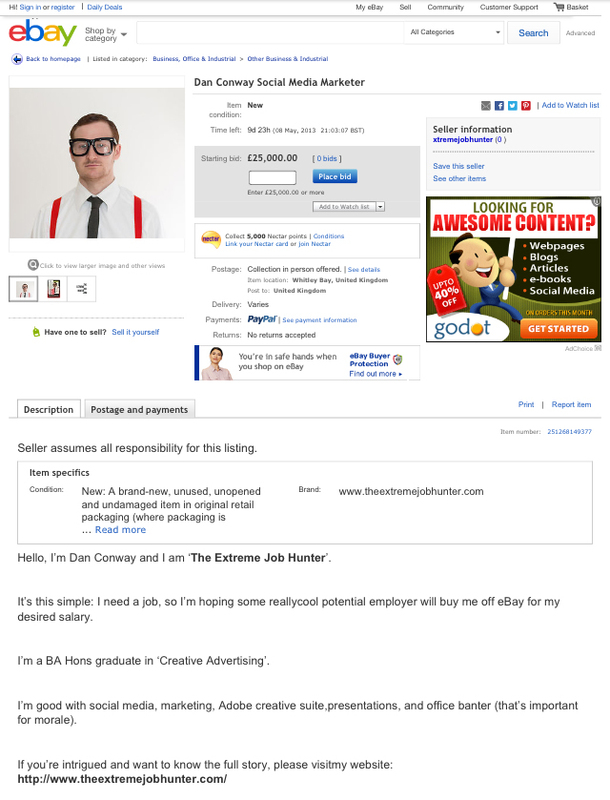 And his background is in advertising / social media so he would be a perfect fit for a job like that - surely?? Can you help my mate Dan? If so email: theextremejobhunter@mail.com or you can follow him on Twitter @xtremejobhunter - you would win an ipad mini so think its definitely worth a try... right?